Can you be a creative director? Check out this video. 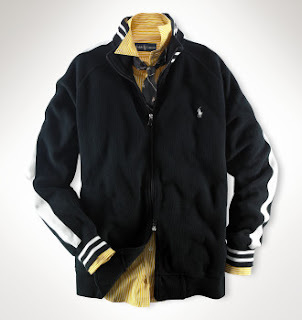 This athletic, fleece, black with white striped jacket from Ralph Lauren's Big & Tall Fall 2008 Collection is TIGHT!!! Check it out, available in Tall up to 4L and Big up to 6X!!! Colors available are black, red and royal shirts. Price - $98. That is a small price to pay for Ralph Lauren. XOXO, has a darling Tuxedo blazer that is gray polyester and has piping along every cinch. This blazer has two hidden closures to make the decorative buttons more comfortable and acceptable. The blazer also possesses a back vent to allow regular movement while wearing this cute piece. I love blazers because they can be acclimated for professional and casual settings, but will always display your worldliness, no matter which environment that you are in. I love XOXO because if you like a designer piece that is a little out of your budget, this company will offer you an equal design at a friendlier price. Price - $59.00 Available on Macys.com. I was shopping with one of my friends, associates and possible future business partners....and I suggested he buy his mom a Coach. He says, Coach what is that? (I'm thinking, is he serious?). He said, my mom only likes Anya. I went into instant dream land, while I finished his thought and said, Hindmarch. Anya Hindmarch, is an EXCEPTIONAL English, fashion accessories designer. 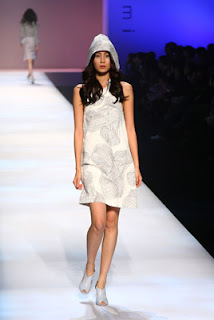 Anya designs, range across all consumer markets. The design house has accessories for the Target consumer, Eco-friendly shopper and the Luxury lover. With that type of product placement in combination with solid design, Anya has went on to win many design awards and one of her handbags "I'm Not A Plastic Bag" in the 2007 Oscar goodie bag. 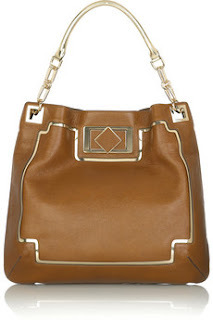 Anya Hindmarch Moretti Shoulder Bag Price - $1145 Available at netaporter.com. 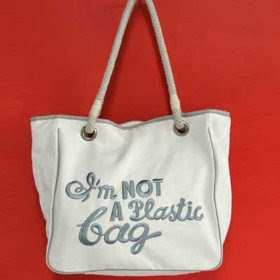 Anya Hindmarch I'm Not A Plastic Bag Price - $28.99 Available at amazon.com. If you want to go for the gusto, go ahead and purchase these Fendi sandals to go with your new Anya. Fendi Platforms Suede & Leather Price - $770 Available at netaporter.com. 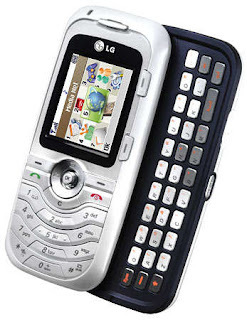 Price - $816 I am still presently a LG phone customer and may think about getting this one, as well. 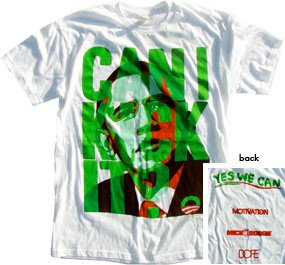 Dope Couture has a Barack Obama Tee: Heavy HITTER!! 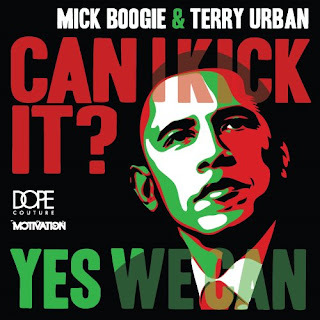 I just discovered Dope Couture's Barack Obama t-shirt, (post dated Oct. 14th with David Banner, rockin' it entitled "Dope x Mick Boogie x MTVTN") which is NIIICE! I guess no one in their camp or affiliated with them loves me enough to tell me about their NEWNESS, so I had to figure it out on my on....(rolls eyes). But it's ALL GOOD. I still ordered and paid for my own. No time to wait on flexing my stylist muscle to get this one. It feels like a Limited Edition. 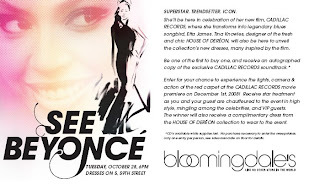 I'm just glad that I found it, right before, the November 4, 2008 Election. Price - $24.00 Click here to buy Stay tuned to the blog at how I alter the shirt and rock it OUT! - OMG, NASTY!!! Check out the new vid of Dope Couture's Skater Clique. I think the video is...........Dope! (I had to) LOL! Politics As Usual from chris mart on Vimeo. BET Hip Hop Awards 2008: Red Carpet, Awards Inside & After Party!! This vest is an addition to the post made yesterday. I think that this Bebe vest is ADORABLE! 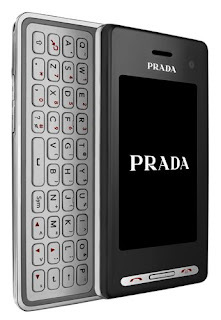 Price - $98.99. Quilted, faux fur, vest. Young, Fabulous & Broke Vest - PRE-ORDER!! Singer22.com has a Young, Fabulous & Broke, black, leather vest that is to DIE FOR!!!! This vest is on pre-order and will ship in two weeks. It is available in sixes XS - L and is priced at $359. I think this vest will look good with a snazzy, white button up, long-sleeved shirt or 3/4 length, leather gloves with lots of necklaces of all lengths. CHIC! If you would like something with similar style but cheaper. You can go with the options below: Baby Phat Plaid Puffer Vest Price - $139 Sizes Available: S - XL Coogi Patent Leather Vest Price - $75 Sizes Available: S - XL NorthFace Furallure Vest Price - $138.99 Sizes Available: XS - L The three vests are available at Dr. Jays.com. I would like to label this item unisex and I believe men can be comfortable, carrying a Gucci duffle that is outfitted in these colors. 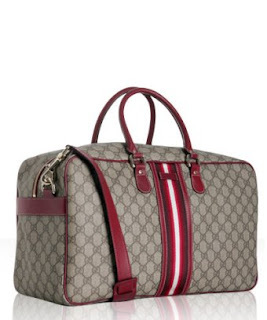 This beige, burgundy, white and wine colored, GG signature, web stripe, Gucci travel bag is - SMOKIN'! It is of coated texture, with a 40" adjustable leather strap and gold tone hardware. The bag weighs 4 lbs. by itself, so don't load it down or you will be paying major airport fees and decreasing the bags lifespan. It is perfect for overnight or short trips. You can travel in style for 20% of the retail price of $1250 and buy it for $1000 on bluefly.com. 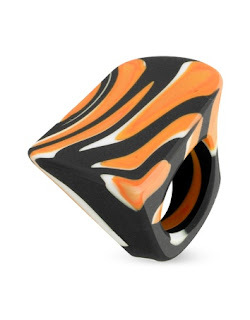 Daringly bold, a wild-chic tiger design is captured in Venetian Murano glass for a unique and exclusively Italian ring from the DeMajo collection. Gift box included, Made in Italy. Only size available is S | USA 4.5-5.5. Price - $57.00 ON SALE. Available on my secret Italian website. Sorry honey, if you'd like to know, which one. You can purchase it, through me. Email me at imnotonik@gmail.com. Rocawear: Can make you a Gentleman and a Scholar! 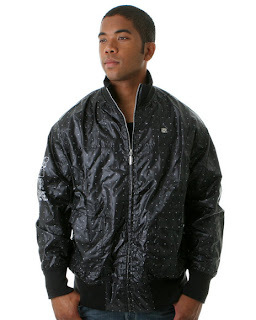 RocaWear has a NIIIICE, light nylon jacket. Perfect for the late Fall months and early Spring months. 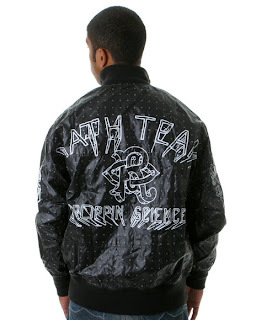 This jacket is called the Math Team jacket and has some very inspiring words printed across the back and down the sleeve. Price is $78.00 and is available in sizes L - 3XL on Dr. Jays.com. Steven by Steve Madden Boot and Steve Madden Luxe Platform - SO HOT!!! There is a Steve Madden peep toe, boot that keeps popping up, when I open magazines and when I surf the net. I think it is so sophisticated, with it's suede exterior, 4 inch heel, side buckle, peep toe with shoe boot shape and slouchy aesthetic. I would swear that the price was more than it really is. $149.95. I know, why haven't I ordered this yet? I don't know, I'm asking myself the same thing. For now, I'll give the glory to Vanessa Simmons, who obviously thought that this shoe was HOT as well. 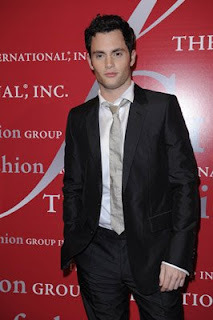 Even hot enough to wear to Spring 2009, Fashion Week Shows (big, deep, breath in). GREAT FASHION CAN BE AFFORDABLE!! Angela may have on this pair of Steve's. Like Ashanti, said, "...I ain't mad at Steve Madden." (Switch by Ashanti feat. Nelly) Price - $79.95. Daddy's Little Girls - Moved out of Run's House! 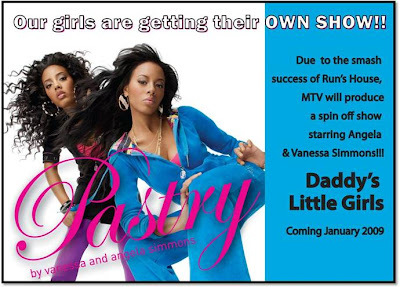 Vanessa and Angela Simmons have become more than household names, since Run's House successful run (is that a hot pun or what?-HA) of seasons and continues to get rave reviews. They are tokens of rap guy's like Kanye West's imagination, with his ever so popular line, "...when my Jesus piece, can't bring me peace, yo, I need just at least, one of Russell's nieces, ONNNNN...." (Put on for my City, Young Jeezy feat. Kanye West). The aspiring Take Over the World duo has been blazing trails for young women all over, since their debut. And believe me, they won't stop there. Coming January 2009, these young ladies will star in their own MTV sitcom entitled, "Daddy's Little Girls" and I am 200% positive that this show will NOT disappoint. Pastry Website here. Cant Go Wrong with Kangol! Reggie Wayne & The Colts - Eat your heart ESPN!! Energie Launched - Online today!!! A $2400 Price Tag - Do you want it? Mystery Item: Where to buy two tone stockings?